Indian Lake – Hitchcock Creek/Át Ch'îni Shà Conservancy was established as a result of the Wóoshtin Wudidaa Atlin Taku Land Use Plan and Taku River Tlingit First Nation Strategic Engagement Agreement. A multitude of values overlap with the conservancy, including: wildlife habitat for caribou, sheep, grizzly bear, and moose; cultural sites, traditional trails, and seasonal village locations for the Taku River Tlingit First Nation; and high recreation values for the local community. The Tlingit name (Át Ch'îni Shà) means “heart of the sheep”. 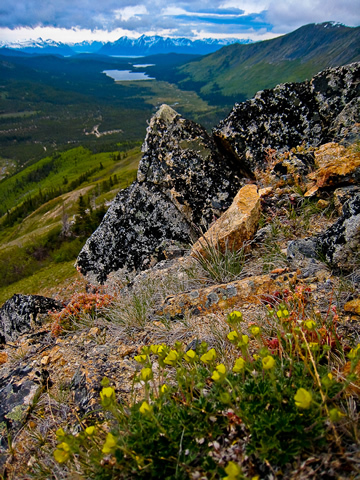 The conservancy is centred on Indian Lake and Hitchcock Creek and borders the Yukon Territory in the asserted traditional territory of the Taku River Tlingit and Carcross/Tagish First Nations.